APR’s Calibration Engineers spent months calibrating the engine management system, including many hours of chassis dyno development. With a thorough understanding of the ECU’s torque structure, APR’s Calibration Engineers properly increased engine load to produce more power and torque across the entire power band. APR’s ECU Upgrade increases boost pressure, optimizes ignition timing, cam timing, valve lift, lambda and more to produce higher output! APR’s ECU upgrades are one of the best horsepower-per-dollar modifications for the new 2.0T engine. 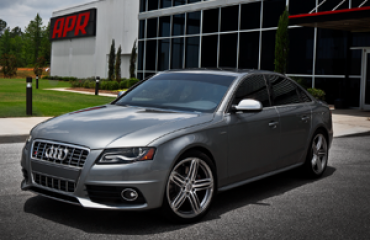 The APR Stage I ECU Upgrade is designed to work without requiring other changes to the vehicle’s hardware. With the ECU Upgrade alone, APR’s Calibration Experts measured higher peak figures of 379 ft-lbs of torque and 354 horsepower with 93 AKI octane fuel. Large gains were seen throughout the power band, including an additional 98 ft-lbs of torque and 74 horsepower. Even higher figures were achieved using race fuel. For those looking for a more modest bump in horsepower and torque, lower output software is available. APR’s ECU upgrade increases the vehicle’s top speed limiter for blistering sprints around the track or across the Autobahn without the speed limiter shutting down the fun. – Max increases are based on APR’s actual measured stock values and not those reported by VW. | RON = ROW Fuel Grades | AKI = North American (RON+MON)/2 Fuel Grades. – Reported wheel figures measured using APR’s in house Dynapack Dynamometer with a US Spec 2015 Golf R, in FWD mode, using SAEJ1349 correction and an average of multiple runs. Crank figures are estimated based on the measured wheel figures. Results may vary depending upon environmental conditions, vehicle, transmission, vehicle health, operating conditions, temperatures, fuel grade, dyno type, dyno setup, other variables and other modifications. APR’s proprietary DirectPort Programming is now available for the Simos 12.x and 18.x ECU! Any APR Dealer in the world, connected to the Internet, can gain direct access to APR’s latest ECU upgrades for loading directly over the vehicle’s OBD-II port. 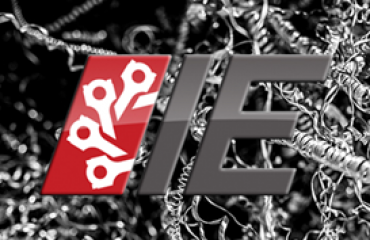 This eliminates the need to remove and open the ECU for currently available files and can be uninstalled and reverted to the factory unmodified stock software file at any time! APR’s proprietary ECU Explorer gives APR’s Calibration Engineers exceptional access to the vehicle’s entire engine management system. Typical commercially available data logging tools, used by many tuners, only allow logging up to 12 engine-operating variables at extremely low data rates. These tools are also limited to a small, specific list of variables. APR’s ECU Explorer is capable of logging every variable found within the ECU. It’s capable of logging well over 100 variables at once with data rates as high as 100 samples per second. 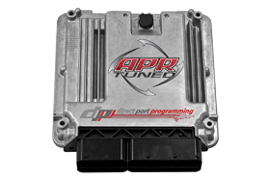 APR’s proprietary ECU Composer is used for altering the engine management system. With full access to every table, map and variable within the ECU, APR’s Calibration Engineers are not limited to a handful of maps as is common for many tuning companies. ECU Composer takes calibration to a new level with APR’s Quick Flashing. APR’s Calibration Engineers can reflash the ECU in seconds, rather than waiting lengthy periods of time between each flash, making testing various changes much easier. APR’s Electrical Engineers have the ability to alter the code structure of the ECU. Through code levels changes, APR’s Engineers are able to add features to the ECU. Other changes allow higher torque limits than those achievable through only modifying calibration data or using piggyback devices as is the case for many tuners. This allows APR’s engineers to often not require transmission software to meet or exceed advertised gains. On the highly modified end, this often allows APR to make turbo upgrades operate without the need for external manual controllers. 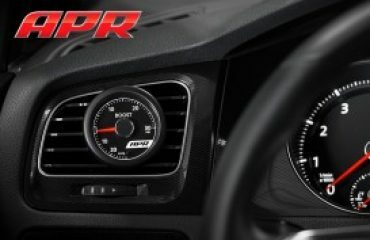 – Upgrade to Stage II with a brand new APR Downpipe (In Development) Brand New APR Downipipe Free! If you wish to purchase this ECU upgrade, please contact us today.